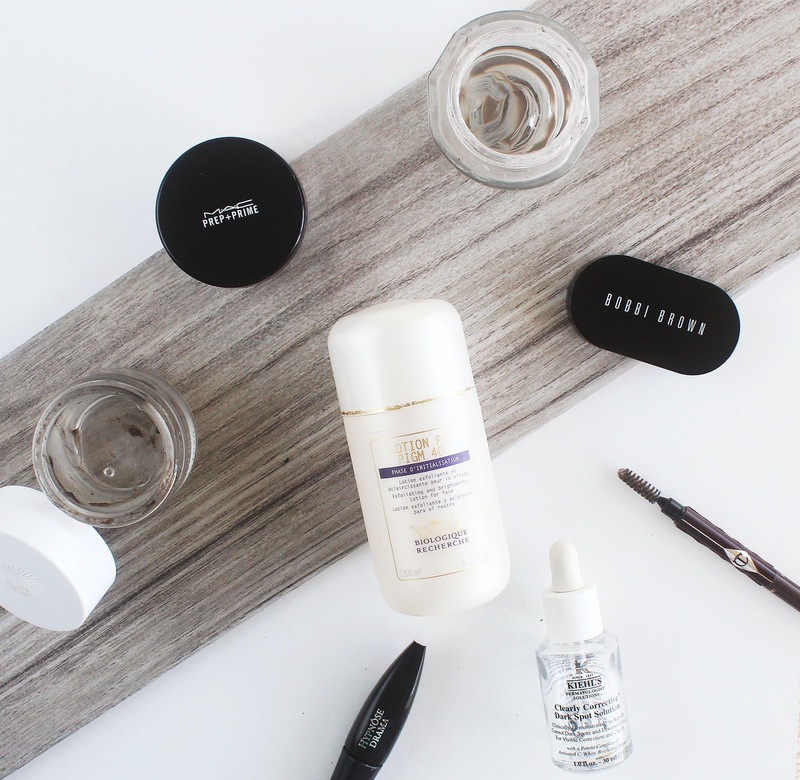 It's been a while since I've last rounded up what beauty products I've emptied, so I thought it was about time I delved into my empties box and had a little recap. I ordered this especially from America, and I'd be lying if I said that, ultimately, I wasn't slightly underwhelmed. It's really, really nice, but certainly not worth the price or the difficulty getting it. 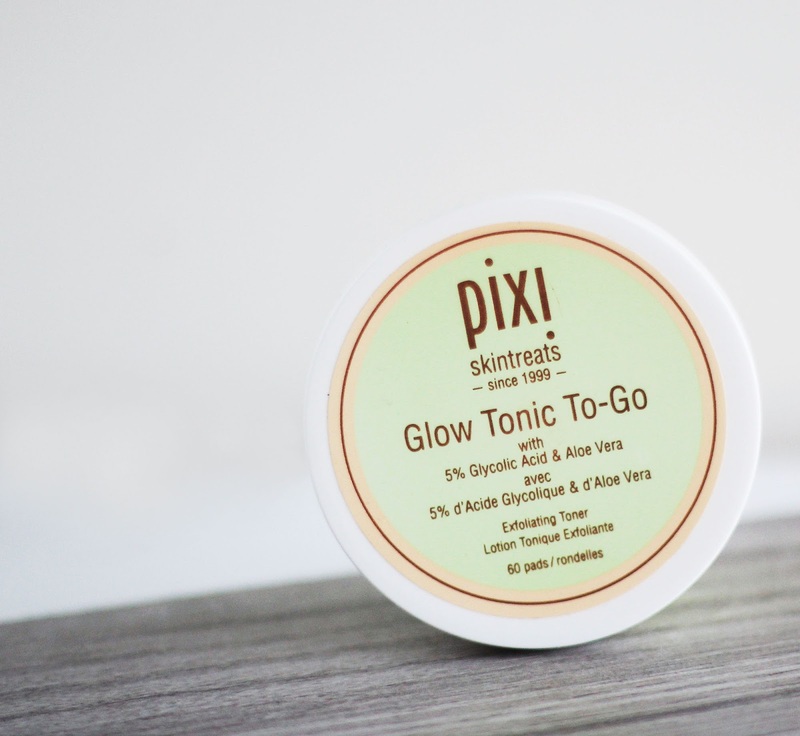 As for acid toners, I'll be sticking to my Pixi Glow Tonic or First Aid Beauty Pads from now on. I love this eye make up remover, its a super gentle remover with an oily texture to it, that gets the job 100% done. I've gone through about 5 bottles of this so I thought I'd try something new - but I'm a little disappointed in the new product I picked; there'll be a disappointing products post all about that soon! I used this all up about a month ago, and while it did help my hyper pigmentation, it didn't really do enough - so I won't be repurchasing again. Obsessed with this! It's essentially a glycolic acid toner designed for night time - which I'm pretty sure just means the percentage of glycolic acid is higher, because there's no sun for your freshly toned skin to be more sensitive to (not 100% sure though). I really enjoyed this and found it to be an effective toner, however I won't be repurchasing just yet because I'm using a glycolic acid toner in the day time, so it seems silly to buy another one just to use at night. This is definitely a fab product I will keep in mind, though. 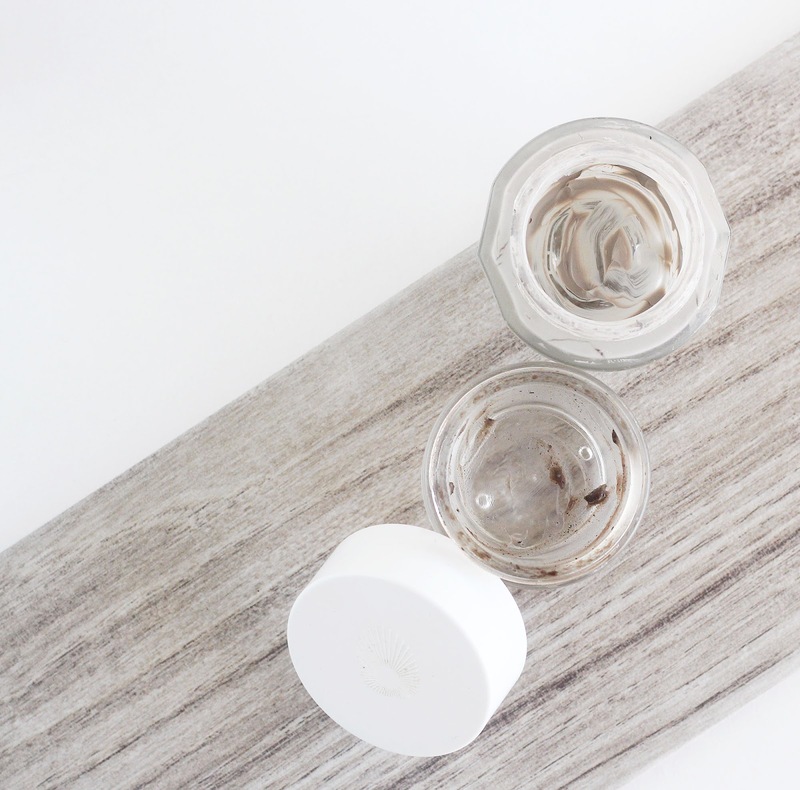 I am a facial oil obsessive and this must be one of my favourites that I've used. It makes my skin so soft and helps it to repair overnight. I probably will repurchase in the future, but at the moment I'm using an Oskia one. I couldn't photograph the actual empty product because not only had the product run out, the physical pot had broken. But I love this stuff, and have already repurchased. It's a cult beauty product for a reason. This is a handy little product to pop in your handbag as it contains concealer/corrector and powder (not that I used it for this). I probably only used the powder once or twice. But this is probably one of my favourite pot concealers (in the shade 'sand') because it's a peachy tone that A) matches my skin tone exactly, and, B) acts as an under eye corrector. It's brilliant, it works like a dream: full coverage for target concealing, great as a corrector too and if applied under another concealer (like a lighter one to highlight) it doesn't interfere with it at all, doesn't slip around or bunch up etc. I have decided this time not to purchase the kit as it's just not what I use, but I've bought the same shade concealer in it's own individual pot. This is another good translucent powder, it's completely invisible! 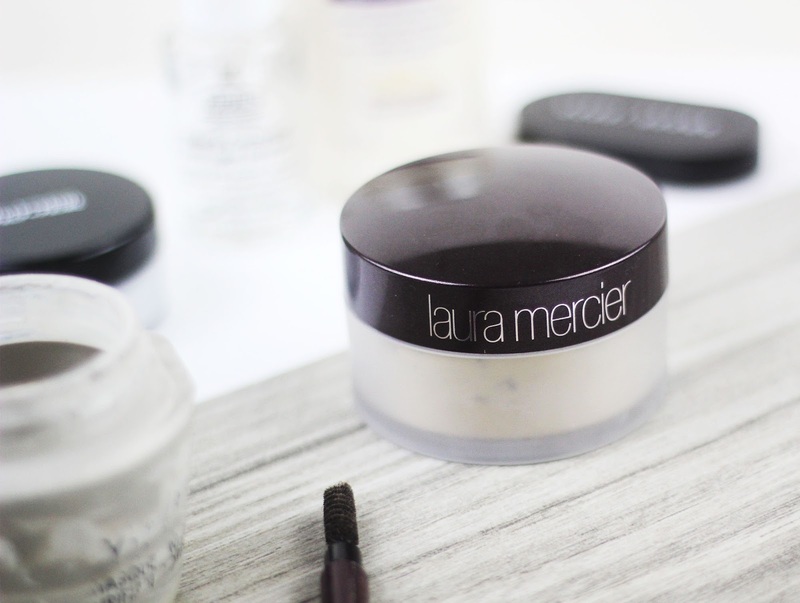 It's also slightly less pricey than Laura Mercier's version. I enjoy both, this one is slightly finer but also doesn't hold your make up or quell the appearance of shine as long. So I tend to opt for this one instead when I know I'm only wearing make up for a few hours, rather than all day. Probably won't repurchase as I've already bought the LM powder. I find MAC tends to be hit and miss nowadays and rather gimmicky, but this is an 'oldie but a goodie' and a product I just can't live without. This is my absolute, all time favourite setting spray - it's especially amazing at taking down any powderiness/getting rid of excess powder on the face, so you get a flawless finish. Plus it really does make up stay all day. It's multi purpose too, can be used to wet eyeshadows for more pigmented application and also to freshen up throughout the day. They didn't have the original in stock when I repurchased it so I got the coconut scented version and I'm in love with the scent! I don't use micellar water anymore so won't repurchase this, but I enjoyed using this as a very gentle and refreshing final step in my night time cleansing routine. This cleansing milk is beautiful, it's so gentle, so soothing, and just an all round good product. The one thing I didn't like about it was the packaging, I found when I opened the pump up there was still a lot of product inside - I used it all up as much as I could until I couldn't even scrape anymore out - but there was still a lot of wastage. I think because the packaging is so tall and narrow. I have a bunch of cleansing milks I'm still going through so won't repurchase just yet, but this is another product that's got a tick next to it I'll definitely be keeping in mind for future reference. I'd already repurchased this before I'd even come to the bottom of this tub, and this was the second tub I'd used up, so suffice to say I love this. 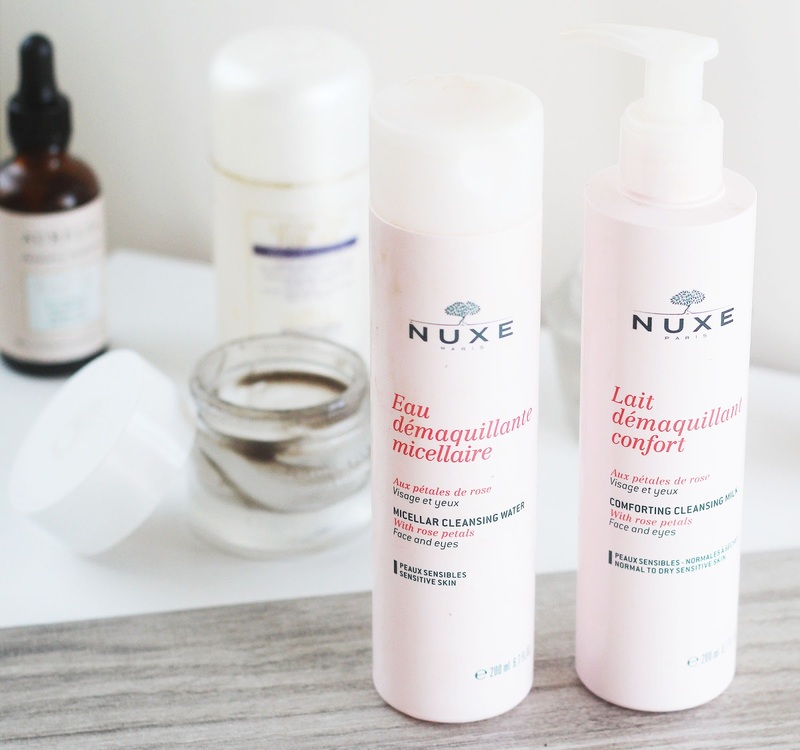 This is a brilliant, make up dissolving cleansing balm - the way I'd describe the texture is like a super soft playdough (it smells a little like playdough too, actually), and when you massage it into your face it just melts. It feels so nice - I can't recommend it enough. 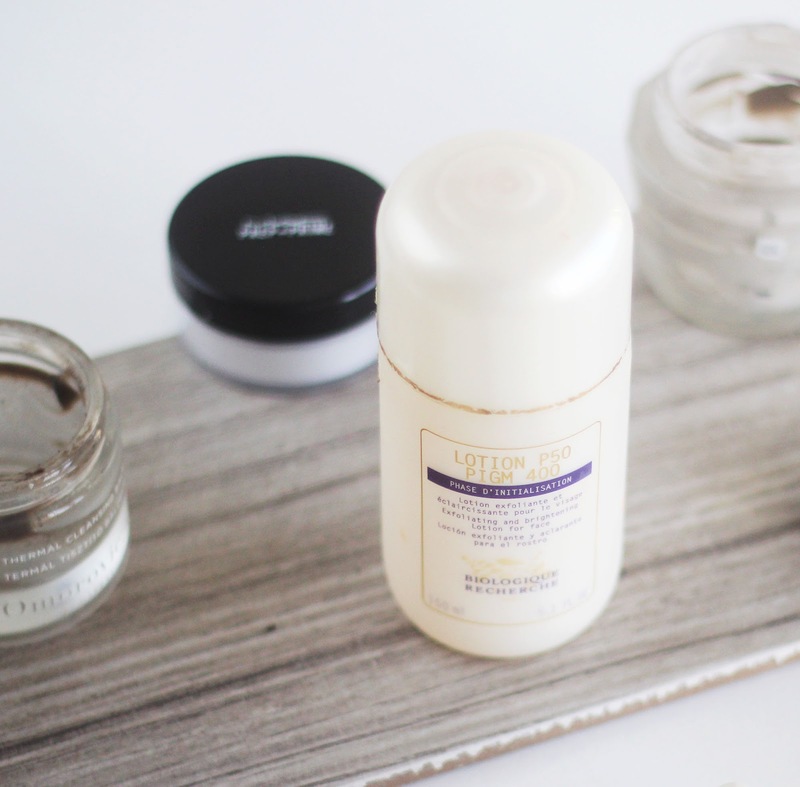 I love a good bit of French pharmacy skincare, and this is my favourite affordable clay mask. 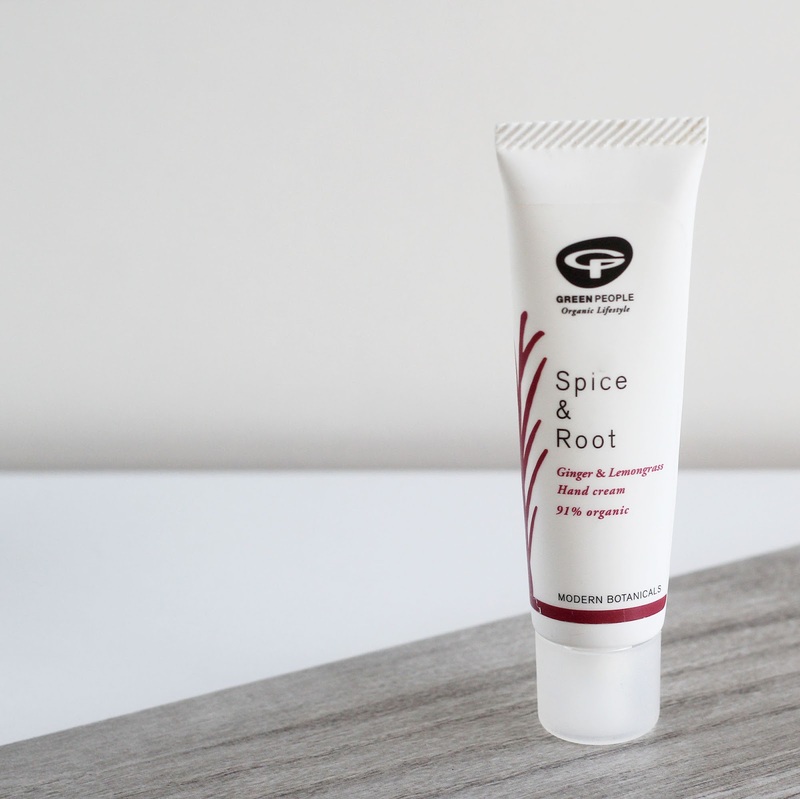 It's deep cleansing and really leaves your skin feeling clean and fresh, and while you're actually using it it's very good to wake you up, it has a slight tingling sensation, plus it smells amazing - so clean - it's just a pleasure to use. I'll definitely be repurchasing. 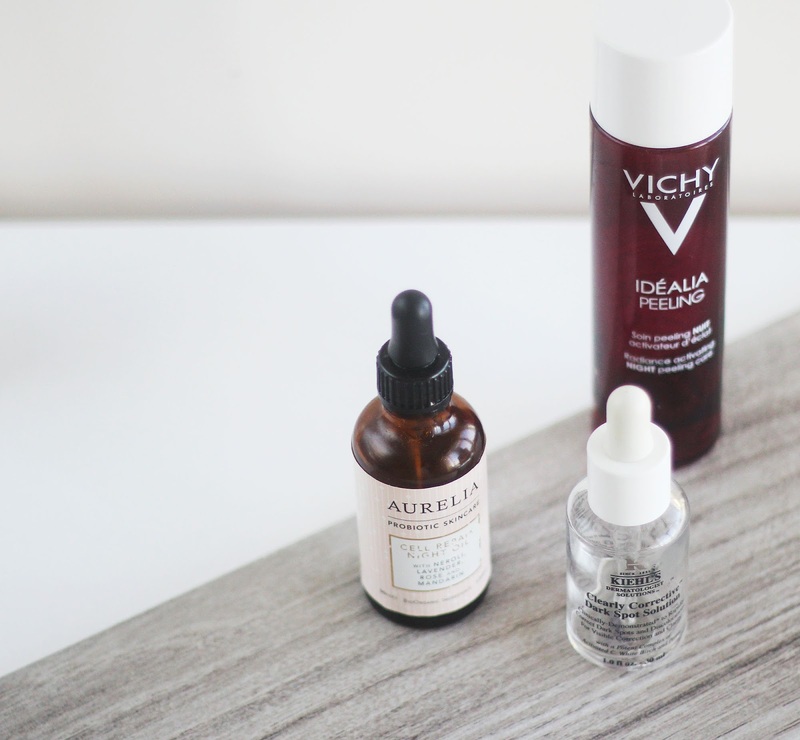 I love glycolic acid, are you seeing a bit of a theme here? This is Pixi's wonderful bestselling Glow Tonic in pad formula, designed especially to be more practical for travelling. I didn't use it as that, I just had it on my vanity for day-to-day use, but pads are definitely a safer option than a spill-able liquid if you're taking it around with you! This is what I use to do my brows pretty much everyday, so of course I repurchased immediately. 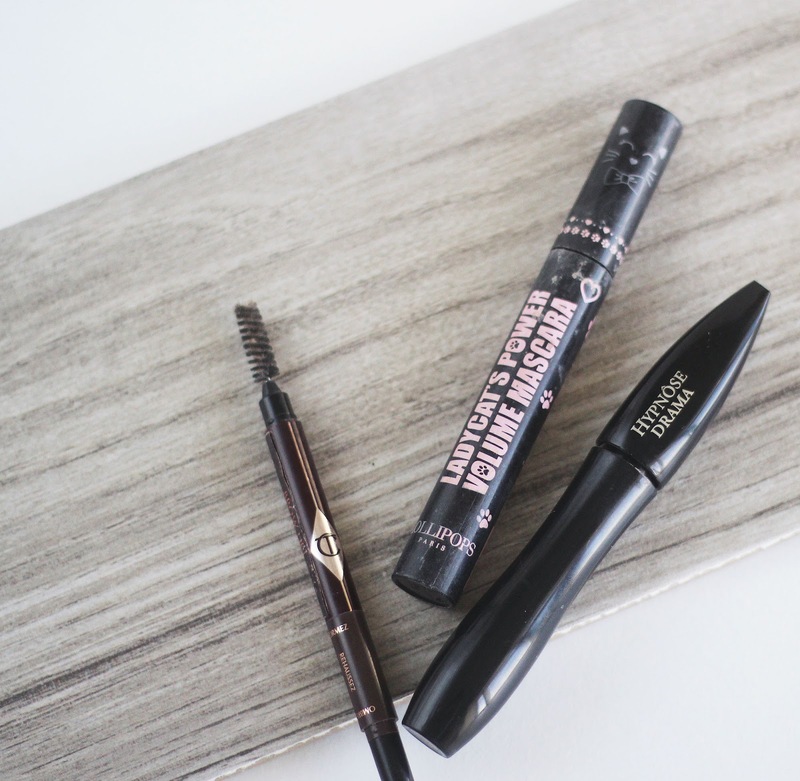 This is a nice affordable mascara - it's not actually a dramatic mascara though, I find it's great for natural, fluttery looking lashes. I won't repurchase though. I bought this based on the hype around it, and I loved it, it's a brilliant mascara for real dramatic lashes, but there are so many other stars on the market now, so I don't think I'll repurchase (for the time being, at least). This smells amazing, it's such a fresh scent. I loved using this. Green People gifted this to me to use in my Christmas Gift Guide, and I did actually end up giving it to my mum as a present. She loved it! I love the smell of it, too. 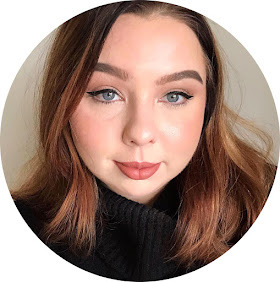 Shop My Empties Do you see any of your favourites here? I have a little pot of the Omorovicza Thermal Cleansing Balm but I have no idea what I'm really doing with it, it's still sat there in the pile of to use products! 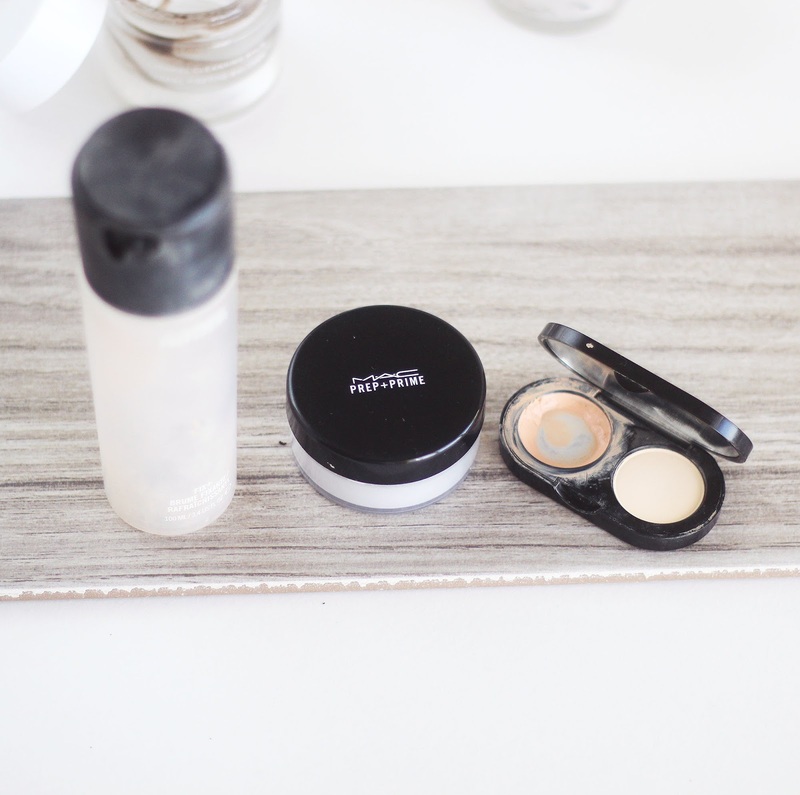 I love the Mac Prep + Prime Powder, I use this more than my Inglot translucent powder. I've also use the Mac Charged Water, it's similar to the Fix+ has such a refreshing feel about it. I have the tiniest dribble of an old P50 bottle with the old formula that I keep for special occasions haha. I'm gutted they changed it and agree it's quite underwhelming now. I also have had Fix+ and Prep & Prime translucent powder purchased over and over for years. 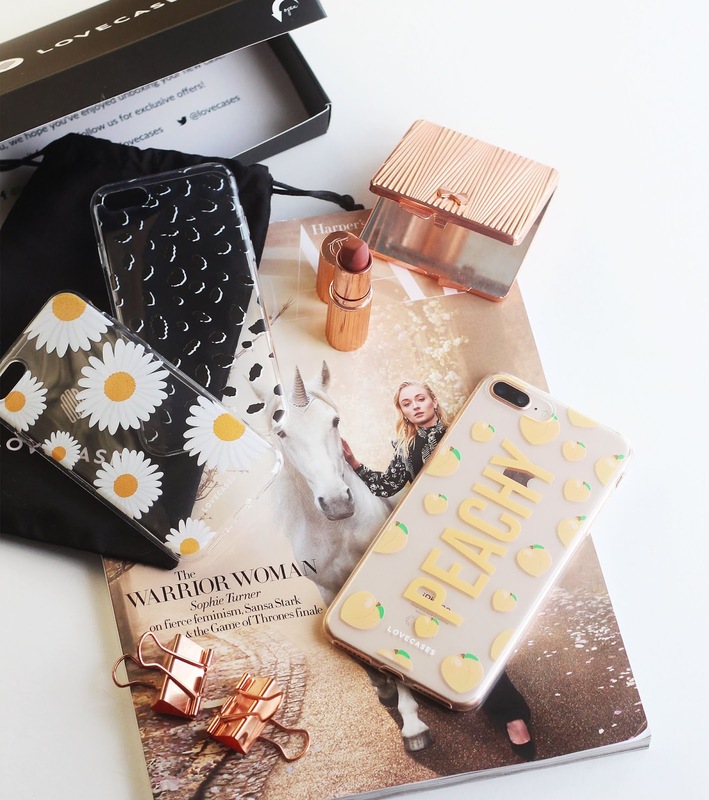 Some of their products are a staple in my makeup collection but agree their limited edition collections have become really hit or miss for me! I haven't tried most of these, so this was so interesting to read. I'm very frustrated by packaging that doesn't let you easily use all the product up, too.